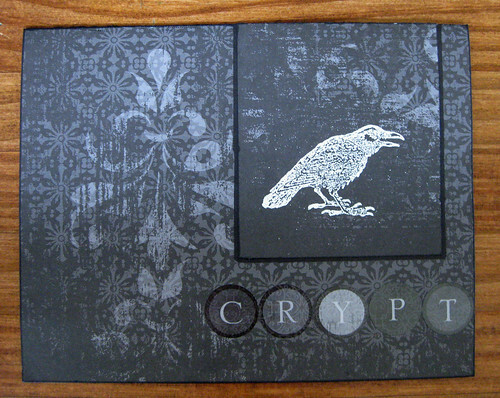 This awesome raven card came from one of my favorite creepy artists, ElizaDeath. 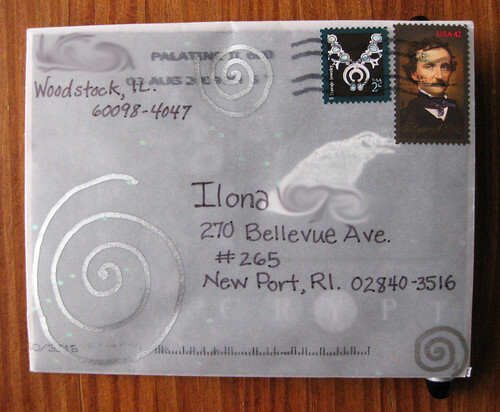 I balanced the envelope on top of a pen to try to capture the metallic effects of the silver and the fun little shimmery polka dots. 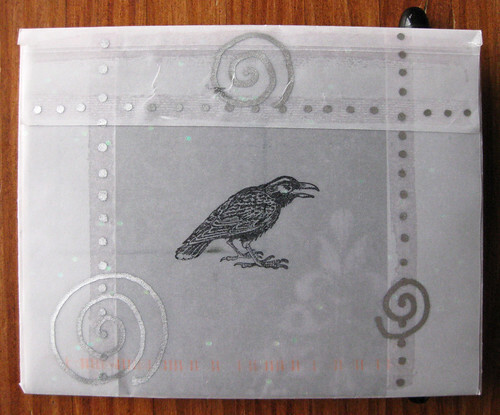 ...and on the card itself, the raven in white instead of black. Crypt! that is totally awesome and miss eliza rocks . 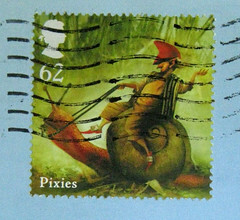 wow I love to see people do these things with mail art . great blog . That is too cool. Did she make the card herself? Yes - she makes almost all the cards she sends to me herself. I am way envious. I want to be a kitty. Good Post is not a Thing of the Past. A visiting bat - a real one! I got my unicorn gmail sticker after all!